In the Ninth World, artifacts are items of ancient mystery and power. Compared to cyphers, they're relatively permanent and often have straightforward applications. But their workings are incomprehensible—a device powered by transdimensional siphons using nanotechnology to rewrite reality on the subatomic level often appears more magic than machine. 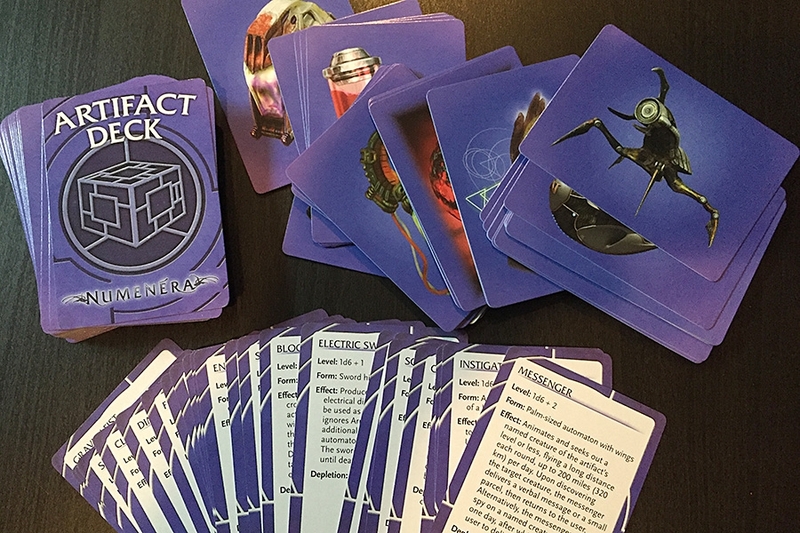 The Numenera Artifact Deck contains 100 new artifacts that haven't appeared in any previous publication. Just draw a card, and you’ve got a fully described artifact ready to go. One side of the card contains all the stats and information for the artifact, while the reverse features and image. You can even hand the card to the player who found the artifact—much quicker and easier than having them copy the text out of a book. 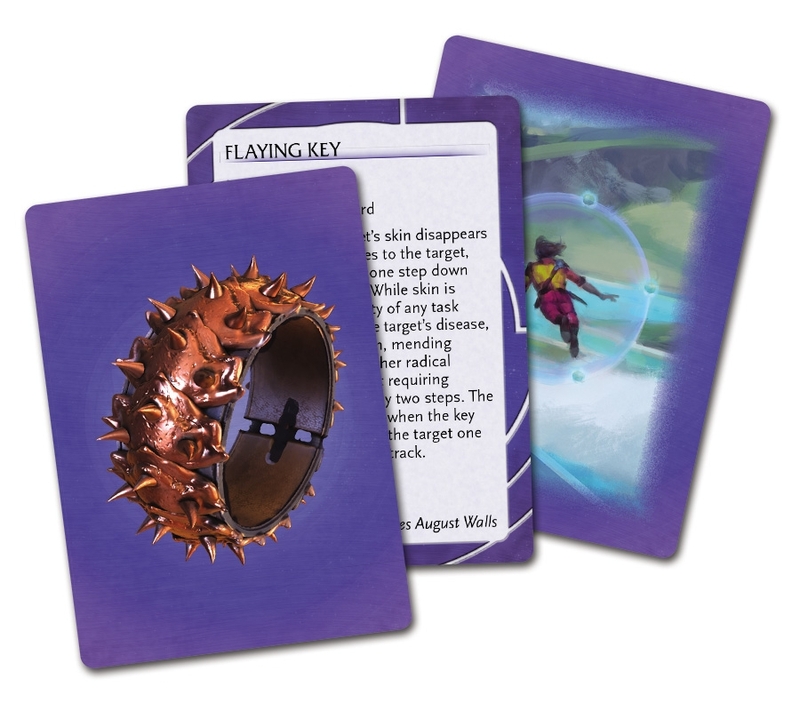 Whether you're looking for a little inspiration as you prep for your game, or need to come up with a artifact on the fly during play, the Numenera Artifact Deck has you covered with just the draw of a card. They stated the cards should be ready for delivery to KS backers by end of March. End of March is when you should expect to receive them, so they are not even late yet by their own estimate. The cards are probably posted for sale here because they've likely just received them, so of course it makes business sense to go ahead and start gathering orders.